Return Packet with Payment to Dakota Spirit. Read the packet and identify which age category your child is in. 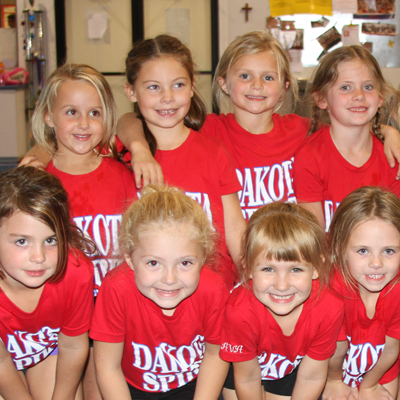 Call 605-373-0414 or email info@dakotaspirit.com to set up a private evaluation time. Athletes should arrive 15 minutes prior to their evaluation. 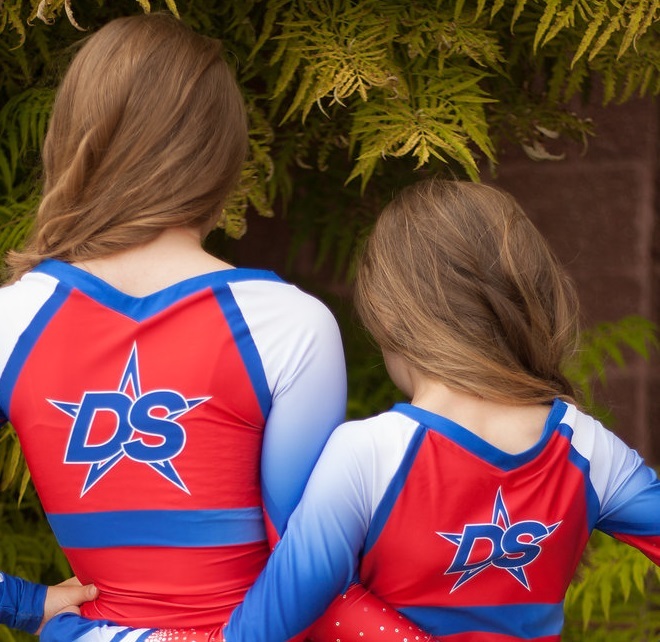 Looking to try cheerleading in the new year? Start 2019 off right and join Fierce! 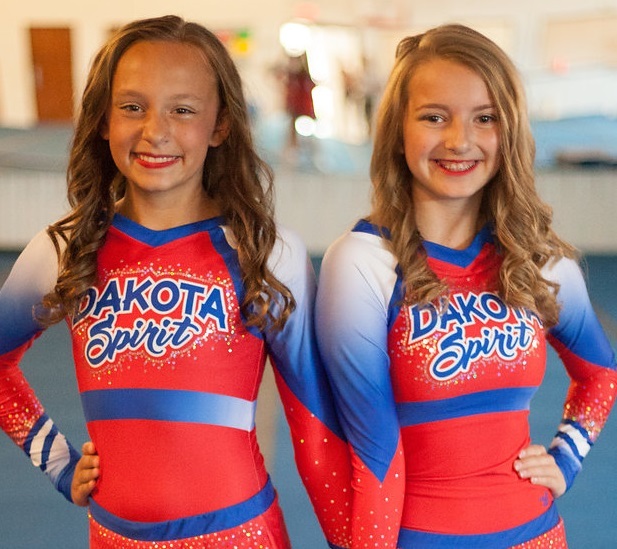 Fierce is our half season team, which means it is a shorter season, but still offers the excitement of a Dakota Spirit team! Athletes will learn the basics of tumbling, cheerleading, and stunting in just 10 practices! They’ll also have the opportunity to perform at 3 big local events! 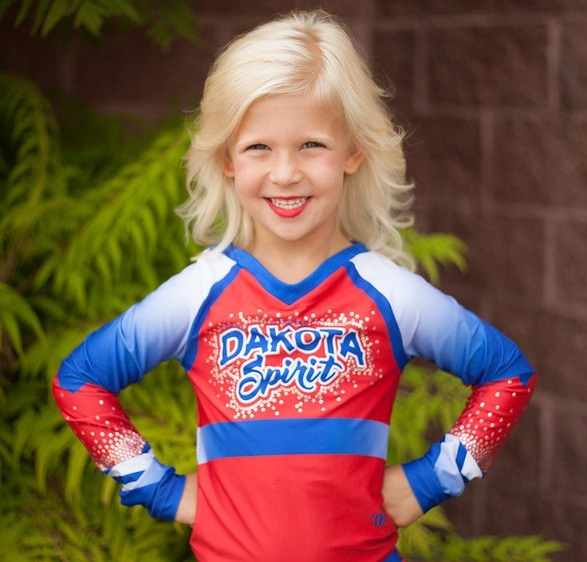 Register for the 2018 Dakota Spirit Half Season Team! Previously known as our Developmental League, our Performance League teams are a great place for kids who love the limelight. No experience is needed for these teams. These performance teams are low cost, minimal time commitment, non-competitive and include a maximum of five-six performances and one weekly practice! These popular teams are a good choice for the budget conscious, busy family. The teams do require a low-cost uniform and bow. The Season for our Developmental League runs September-March and is comprised of the teams listed below! See the packet below for more details on our performance teams! No experience required for these teams. These popular teams focus on skill development, fun & include several competitions. 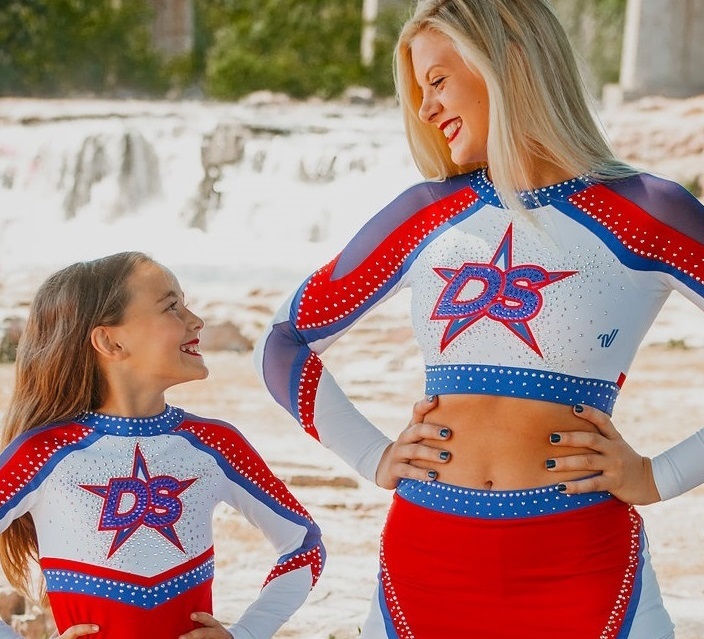 These athletes will focus on perfecting the basics of tumbling, stunting, and cheerleading and show off their efforts in local performances and competitions. The season begins in August and runs through March. It includes a weekly practice, a variety of local performances, 6-8 area competitions & a fun choreography clinic. Athletes will be required to purchase a uniform and bow, practice t-shirt, and performance makeup. See the packet below for more details on our prep leauge teams! Our All Star Prep League is a great bridge for those not yet ready for the commitment of all stars! Our Sparklers team has a spirit and love for cheer like no other! These athletes meet once a week for a 50 minute practice. 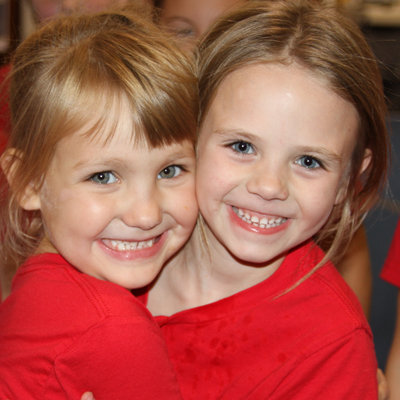 Each athlete on Sparklers gets a buddy from another team for the entire season with whom they build a special bond!